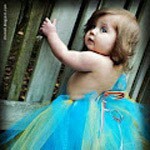 Beauty is the first adjective that comes to mind when we speak of flowers! And it is even more true when we speak of tulips. They are one of the most popular and admired, spring flowering bulbous plants. But before we list the most beautiful of this genre of flowers to you, let us tell you a but about tulip flower. 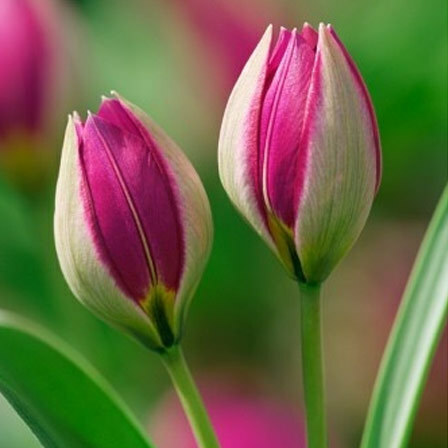 Tulips are cup shaped, bright colored, elegant flowers with long, green stem. Tulip flower is a member of the lily (Liliaceae) family which is made up of 100 species. Billions of tulips are cultivated all around the world; the majority of them are exported from Holland. 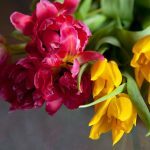 Tulips are divided into 15 categories which include Single Early, Double Early, Triumph, Darwin Hybrid, Single Late, Lily-flowered, Fringed,Viridiflora, Rembrandt, Parrot, Double Late, Kaufmanniana, Fosteriana, Griegii and Wild Tulips. Tulips come in a variety of colors like red, white, cream, pink, purple, black, yellow and several others. It symbolizes fame and true love. Angelique is the most popular and arguably the most beautiful of the tulips. It bears classic, feminine, double, soft pink flowers that look like peonies. Its petals are full and luxuriant, slightly ruffled, shading from shell pink to lighter pink. This tulip is best planted in the colder months of late October and November and needs regular watering for proper development. They like sunshine and last longer in partial shade. This satin, pink bulb grows to around 45 cm high. 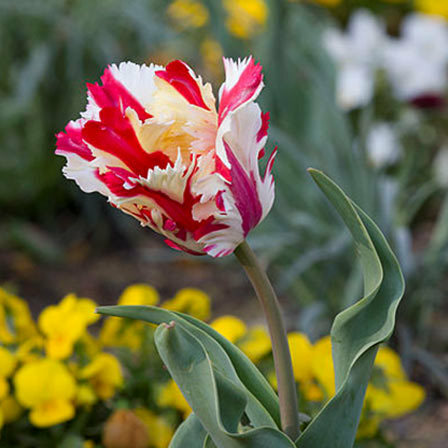 This tulip is highly prized for its graceful looks and unique coloring. Tulipa Little Princess is a beautiful dwarf garden tulip. 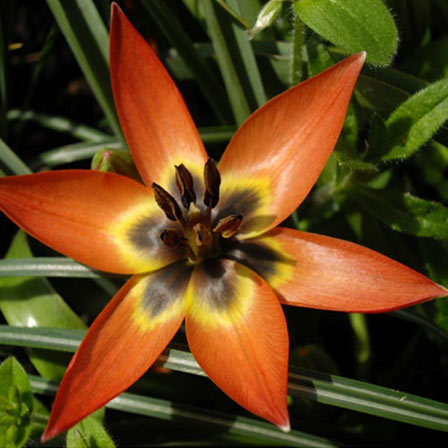 It is a cross between Tulipa hageri and Tulipa aucheriana. The plant has several stems supporting marvelous copper orange flowers. The centre of this flower is deep yellow in color with markings at the base which gives the flower a contrast look. The flowers keep getting darker as it ages. 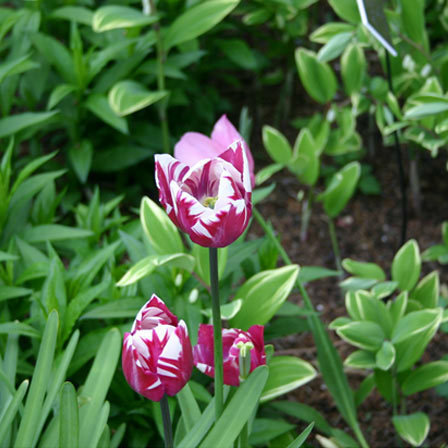 These short tulips are quite hardy and can withstand hunger and rodents in most cases. It symbolizes perfect love and eternal happiness. It is lightly fragrant and has light green leaves. This is a perennial growing tulip and is native to central Asia. It is a cluster of yellow flowers with white tips and yellow centres. It is considered to be the most reliable tulip, and is grown ever year. The plant bears five flowers on a single stem. The flower has even won a Royal Horticultural Society Award of Garden Merit in 1993 and the 1997 Flower Bulb of the Year award. The plants are about 8 inches tall and are fully open on sunny days. Lady Tulip is a very delightful tulip. It is a big 4 inch, star shaped bloom of creamy white color with a tiny golden centre and deep pink petal exteriors. The plant is 6 to 12 inches high and 8 inches wide. It has a tall, straight stem capped with furled flame which thrives in full sun to light shade in loamy soil. 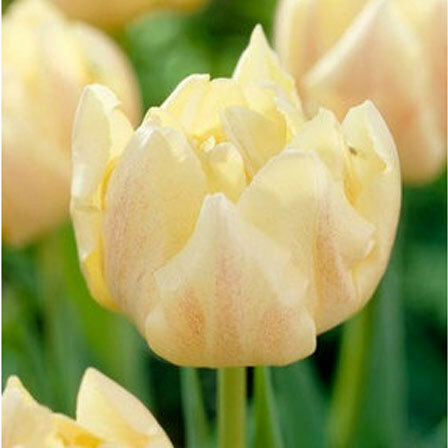 The flower unfurls completely to give a 4 inch wide bloom of pure creamy tulips with a golden heart. The flowers are white inside and are cherry red outside. The flowers are 4 inches in diameter and have grey green foliage. Zurel is a mid season single flowered tulip with gorgeous beetroot and ivory colored blooms, which gives it a distinctive flamed pattern. The flower is conical at first and then opens to a round shape. It provides a much needed splash of color and would look amazing in garden decoration. 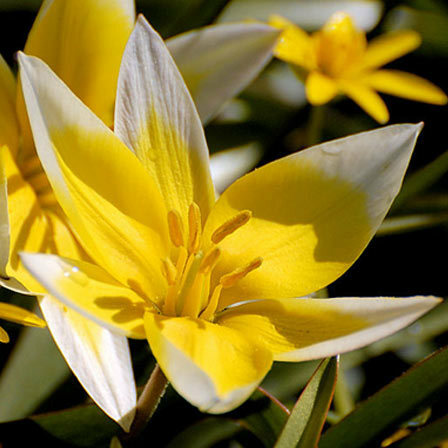 Its scientific name is Tulipa ‘Zurel’ and it blooms in mid to late spring. The flower has strong, sturdy stem and beautiful foliage. 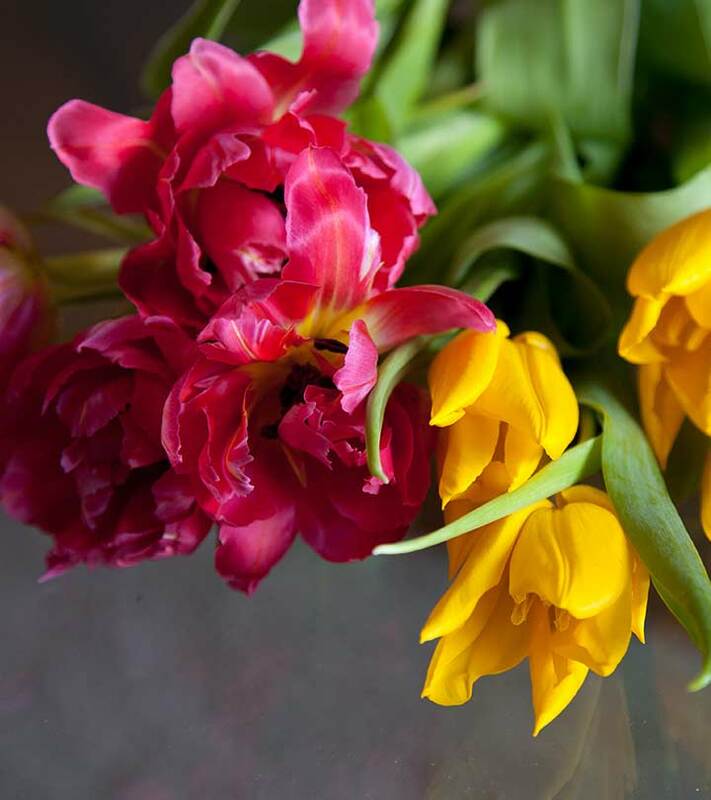 Shirley tulips are an unusual tulip with a amazing color combination. 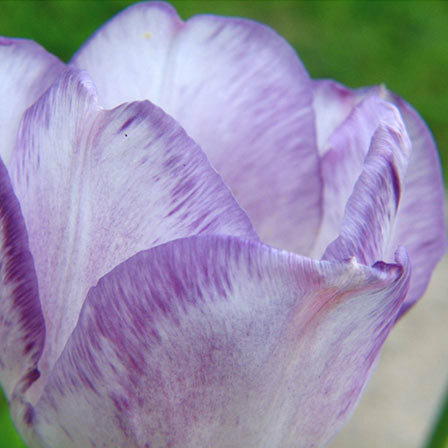 It is a delightful ivory white colored tulip with mauve edge. The flower fades to a clearer white with a dark stained purple base as it ages and gradually it acquires a complete purple shade. The color varies from petal to petal, and no 2 flowers are exactly same in color. They are single cup shaped flowers and are an excellent choice for cut flowers. 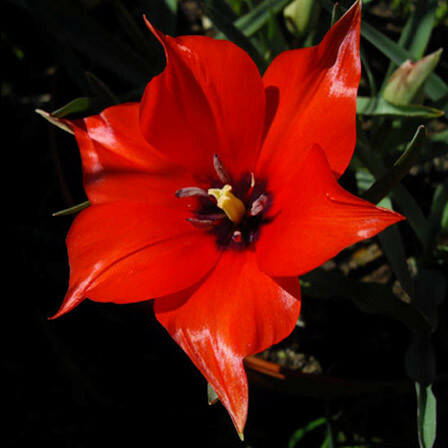 This tulip grows to around 50 cm and flowers mainly in April and May. This is a dominantly orange flower with purple staining at the base of the flower. Princes Irene has a very pleasant scent and lasts a long time. It is definitely an eye catching flower. The flower blooms every year from early to mid spring. It looks great in pots with elegant blue, silver leaves. It is an award winning tulips and is absolutely breath taking. This is a beautiful white wild tulip which is mainly found in high altitudes of 1500 to 3300 meters in Western Himalayas. 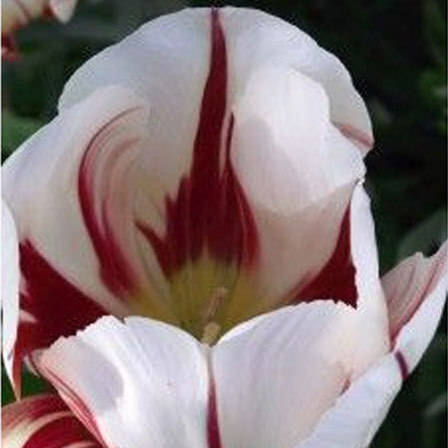 This tulip is solitary, pure white with a broad red band on the outer side of the 3 outer petals. 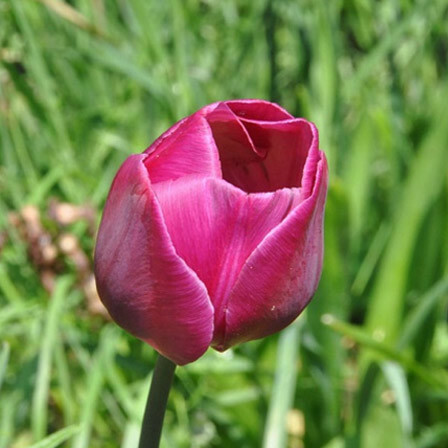 This tulip is borne on a long green stem with grassy green leaves towards the base. This tulip blooms mainly in April and May. 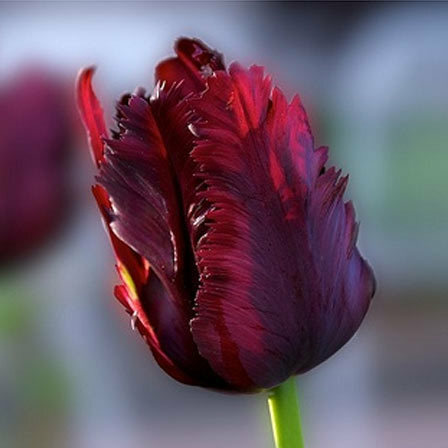 This is America’s most popular tulip; its scientific name is Negrita tulipit. It is a deep purple colored blossom which blooms in late spring. 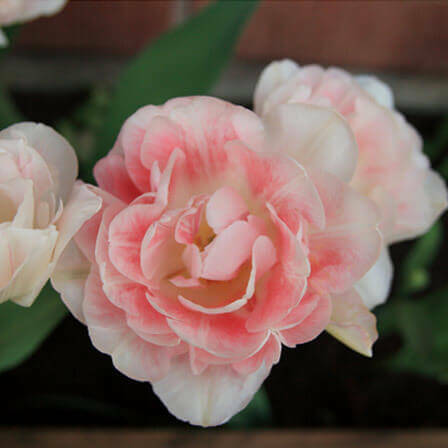 It is a perennial tulip and bears long lasting flowers. The flower survives in full sun and well drained soil. It is a very good cut flower with strong stems. 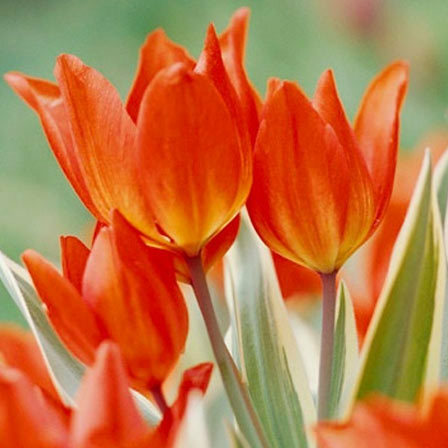 Unicum Tulips is one of the brightest cup shaped tulips with multiple reddish orange blooms, green leaves and gorgeous striped foliage. The flower blooms best in mid spring, in sunlight and well drained soil. The flowers are excellent for cutting. It requires relatively low maintenance and does not require much pruning. 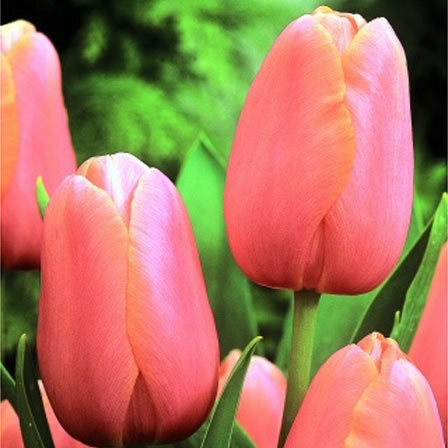 Tulip Menton is a classic variety of tulips with pinkish red flowers and orange undertones, apricot interior. The flower has a lovely goblet shape and is almost 10 inches in height. It is quite a strong and weather resistant tulip and is grown in mid spring every year. It offers large flowers for cutting purpose. ‘Estella Rijnveld is a beautiful parrot tulip. It has ruffled petals in bold red and white color. This cupped flower is cut unevenly and comes in beautiful color combination splashed with red and pink and has grey green leaves. 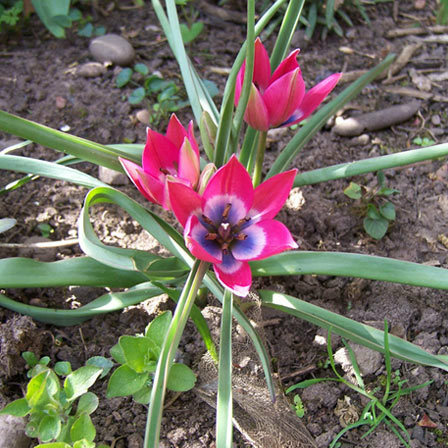 Its scientific name is Tulipa ‘Estella Rijnveld’ and blooms from November to January. 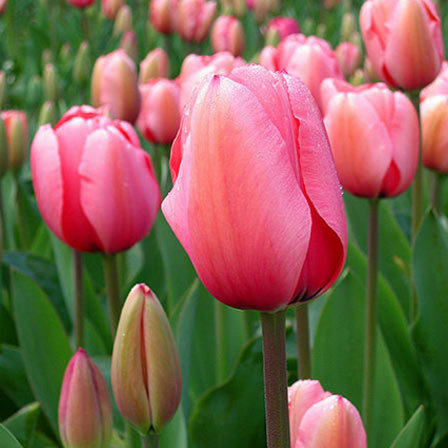 It is one of the most eye catching varieties of tulips and grows up to 16 inches. The flower requires full sun and well drained soil to grow properly. This is a fantastically fringed and twisted tulip with dark blackish purple bloom and bright green leaves. It was introduced in 1937 and is one of the darkest varieties of tulips available. It is planted in bold clumps against contrasting foliage. The flower blooms in late mid spring in well drained soil. 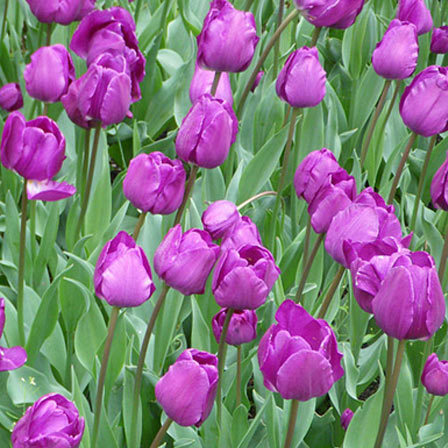 This dramatic, show stopping tulips will add mystery to your garden. It would make a stunning cut flower and will evoke admiration of the onlookers. Because the blooms are so big and full, they get ample protection from the wind. This is a light yellow flower and blooms in early summers. This double tulip resembles golden peonies. As the flower matures, it produces a red, expanding glow. The flower has an intoxicating and irresistible fragrance and lasts for almost a month if taken good care of. 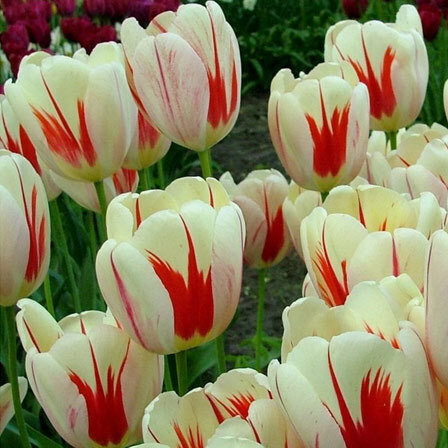 ‘Burning Heart is a Darwin hybrid Tulip and is described as a Rembrandt type as it looks similar to the bold colored tulips as seen in the Dutch paintings on the 1600s such as those by Rembrandt. This tulip opens in yellow and red color and is etched with bold swirls and red flames while the inside is soft yellow with darker base. As it ages, the yellow turns to ivory. Thus these brightly striped blooms are great for cutting or for decoration purposes. This flower will bring life to your indoor garden. 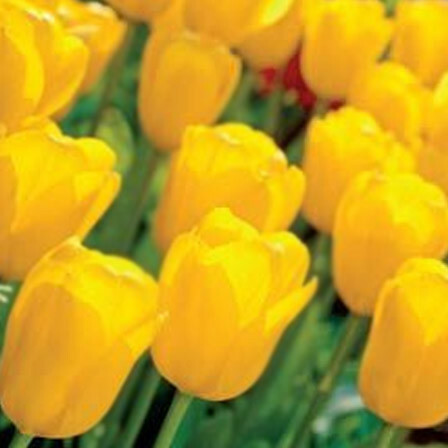 This cheery tulip is a big, golden yellow, egg shaped flowers with green leaves and grayish green foliage. It has tall, strong stems and well shaped blooms. This tulip is prized as cut flowers. This tulip thrives on sunlight and attracts butterflies. The flower grows best in well drained soil and prefers full sun to partial shade positions. It retains its shape and color till the end. This flower is ideal for pots, containers and garden beds. This is an amazing tulip, washed with silver on the outside and apricot on the inside. 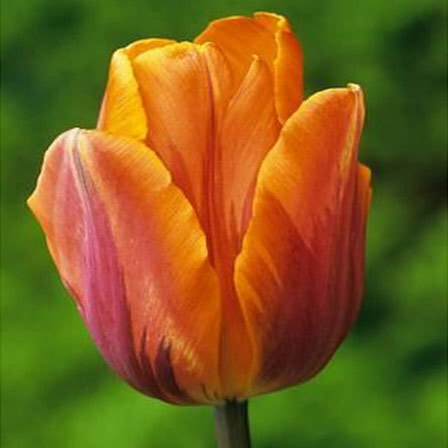 Tulip Apricot beauty is a blend of many shades like salmon, rose, apricot and even amber accents. It is very fragrant and blooms early in the tulip season where fragrance is short in supply. It is an excellent choice for cut flower. Tubergen’s Gem is a gem of a flower with rich red outer petals and sunny yellow inner petals. It blooms massive with tall and big colored flowers. The flower looks breath takingly beautiful in the sun when the petals open wide. 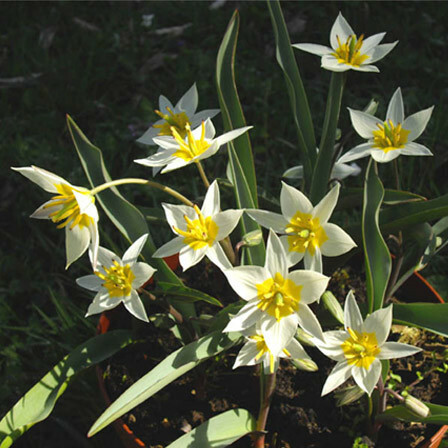 Its scientific term is Tulipa clusiana and it grows well in early summers in loamy soil. It is very low in maintenance and is highly weather resistant. This tulip is also nicknamed as candlestick tulip. Linifolia Tulips is a species of flowering plant in the genus Tulipa and belongs to the family of Liliaceae. It is native to Afghanistan, Northern Iran and Uzbekistan. This specie of tulips blooms in mid to late spring with bright red petals and purple centres that look like open pointed stars. The flower has black base and creamy green foliage which gives an amazing contrast. This tulip grows well in fertile, well drained soil in afternoon sun. 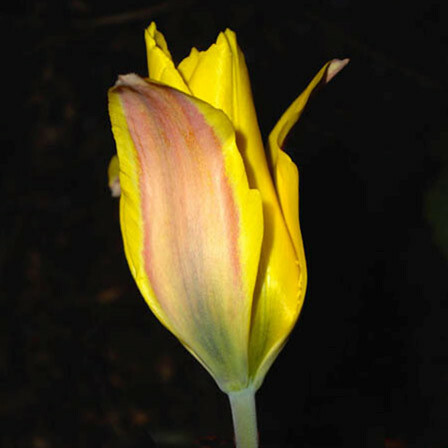 It is one of the unknown tulips and comes in small, bright yellow flowers, enhanced by pink-purple gloss. 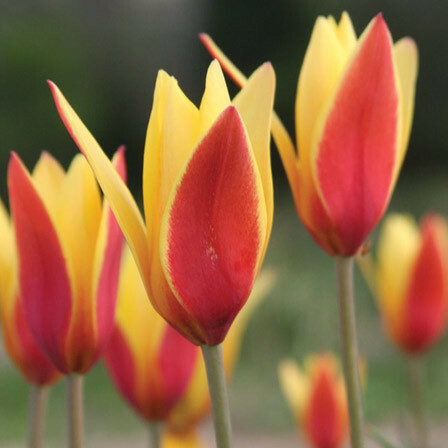 Its scientific name is Tulipa kolpakowskiana and it is native to Kazakhstan, Central Asia, Turkestan and Kyrgyzstan. This flower is also known as the butterfly tulip. The plant produces more than one bloom per stem. The flower is quite sturdy and is brushed with red color on the outside of the petals. The flower thrives best in plenty of sunshine and well drained, loamy soil. It emits an amazingly pleasant smell. This is a very beautiful, luscious pink tulip which is sure to catch the attention of the onlookers. It is a full, rounded, long lasting bloom which would add beauty to your living room. The lustrous petals are deep, rich rose at the centre, shading to the delicate pink at the edge. They are tall, strong, long lasting and a first class tulip. This tulip attracts butterflies and hummingbirds. 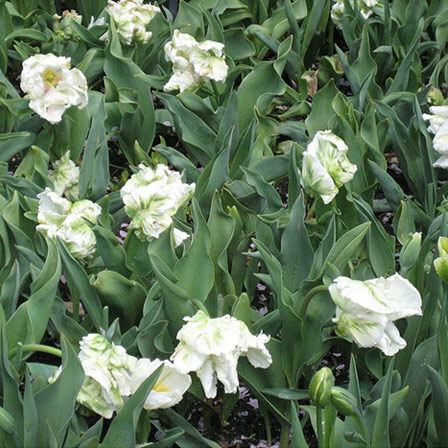 White parrot tulip has large white flowers with slight, green tinge outside. The petals are ruffled and feathered, giving an appearance of a round ball of head. It has a strong stem which provides support to this pure tulip. It is an extravagant and long lasting tulip and makes an amazing cut flower for flower bouquet. 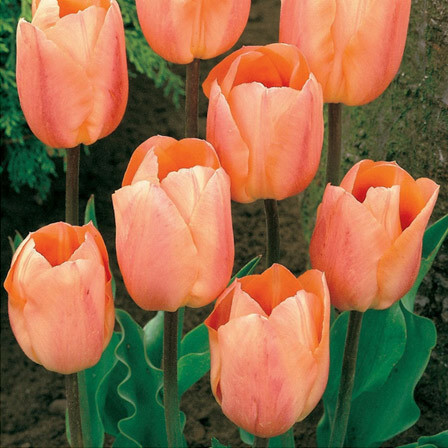 Tulip Persian Pearl is found abundantly in North Western Iran and Eastern Turkey. It is a uniquely colored flower with large purple-red bloom, bright yellow centre and a silver gray exterior. It is a dainty tulip and is just 4 inches tall. It transforms from cups to stars when it blooms fully.